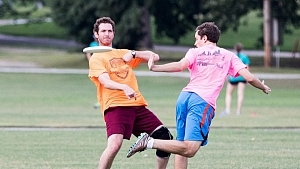 Club Sport offers coed Ultimate Frisbee leagues. Coed rules are tailored so everyone has a chance to get in on the action. The season includes 7 regular season games with everyone making a single elimination playoff at the end. Ultimate Frisbee is a self-refereed game that encourages good sportsmanship and fun. Provided with the league are league coordinators, team shirts, online schedules and standings, prizes for champs, after season party, and more! 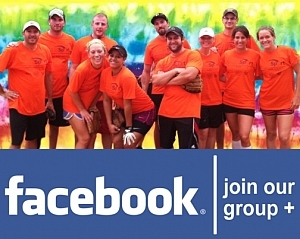 Get your team together or sign up as a free agent and we'll find a team for you! See you on the field!